Record good sound at wedding ceremony. I tried several methods through the year to record good sound of vows at wedding ceremony. The problem for using shotgun mic is, say like you are recording a speech. Okay, sound is good. Then you want to do some B-roll such as panning to the audience. All of a sudden, the sound becomes muffle. I also tried wireless lavalier. A lot of times the wireless frequency interfere with the wireless equipment used in the location. I ended up recording lots of statics and no good clean audio to use. There is also rance issue with the wireless reception. For recording speech in wedding ceremony, I recommend using a voice recorder. With a small wired clip micrphone clipped to the speaker or groom. Then have the speaker put the voice recorder to the front pocket. Pros: You get clear audio. also a second audio track to be used on top of the audio recorded with your cacmcorder for ambience sound. Cons: You can't monitor audio live. Also have to synchronize the additonal audio track with the video recorded with the camcorder. From experience, I keep the camcorder recording continously so I only have to synchornize once per video clip. I know people concern not being able to monitor live audio like using the wireless setup. However, if you notice something wrong during a wedding ceremony, even if you can monitor the audio, what can you do to fix it? Take a look at this clip. What can you do if this happen live? Sometimes it's fun to hear people sound in the restroom, cursing, talk lalalala of other people.. because they forgot the voice recorder has been on. Posted by Ian Rietschel on 11/12/2009 8:15:00 AM I use a Sennheiser first generation radio mic and had for a number of years now with no big problems. I also have a G2 model as well. I always ask celebrants at wedding ceremonies if they are using a radio mic of some type and I do an audio check by having them turn theirs on and I try mine at the same time, if we are on the same UHF frequency then I switch to another channel and test again before I pin the mic to the groom. The only problem I have had is mobile phones that are not switched off and sometimes a signal may come through the speaker box system of the celebrant's PA. That has only happened once. Replied by LA Color Pros Ian, thanks for sharing your experience. If your setup works for you, that's the most important. I had once the church coordinator bluntly removed the mic from the groom saying any wireless mic is prohibit to use without prior approval. Luckily that mine is just a voice recorder. Another time it was in a big church. When I was shooting at the last asle, I got lots of static because of the range distance. Now with the voice recorder setup, I have an additional audio track to be used at post. The down size is, I cannot monitor the audio live. There're times the groom went to bathrooms and I have to listen to all those.. yuck! Posted by Ian Rietschel on 11/12/2009 7:45:00 PM I have never had that happen to me before and I have had a lapel radio microphone for several years now. With the bride I tell them I use a lapel mic so I would have thought that should be enough approval. Some ministers now how to upset brides and grooms don't they. If this did happen to me, I would inform the groom of this on the day and if this is allowed to happen I would explain to the minister that this is so I would not have to get physically close to the action in the church. If he still disapproved I would get a bit closer to the action so I could pick up the vows by my shot gun microphone on the camera. Posted by Manufacturers on 7/1/2010 4:51:00 PM Nice article, I have already heard much more about Olympus voice recorder. I am also planning to buy it before September. But I don't have any information related to models and price. Please kindly try to share some more information related models and rates. Replied by LA Color Pros Thanks for your comment. 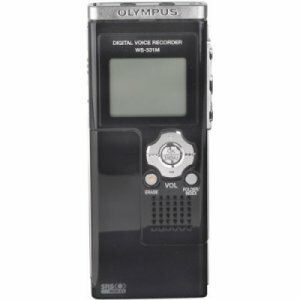 There're quite a few Olympus Voice Recorders in the market. I cannot really recommend one for you. I believe the difference between them would be the amount of internal memory, mp3 music playback, and the type of internal microphone built-in. So you will need to really do some homework to find out which one will work best for you. Posted by Reviews on 7/2/2010 2:59:00 PM Hi dude, Myself Ben cruise I am a big fan of Olympus wireless technology. I have almost all kind of wireless products of Olympus whether you talk about radio, voice recorder, mp3 or mic. I personally using digital voice recorder from last 3 years and still its working without giving any problem. I am planning to buy another one for business purpose. Posted by david wood on 11/24/2011 1:29:00 AM Hello , im glad i found this site ,because i really dont want to go down the wireless route. all i will ask . is it worth ging down the stereo voice recorder with stereo mic, is MONO good enough for the vows . Replied by LA Color Pros Unless you are recording high fidelity stereo music, there is no need to record in stereo. Lav mics are mono too. The reason many of these recorders can record in stereo because you can have two separate channels. Otherwise, your voice recorder will record both left and right channels with the same exact content. You can still set your voice recorder to record in stereo. In that case, you don't need to use any filter in your NLE to fill left or right channel.